They say you measure up as a handyman. They say that, plain and simple, you’ve got your head screwed on right and your priorities nailed down. Sure, sometimes it’s difficult to wrench you away from a project you’ve started, but that’s only because you like to drill down and get the job finished. Not to hammer it home, but they tell me when it comes to DIY, you’re on the level. All of which means the Handyman Ring is a perfect fit for you. This .925 sterling silver men’s ring, with a wraparound wrench motif, is no fixer-upper. It has an aged finish because tools aren’t for show, they’re for fixing things. And, don’t let its heavy duty good looks fool you, this ring is lightweight and ultra-wearable thanks to its ingenius Italian-made design. Let’s get down to nuts and bolts. 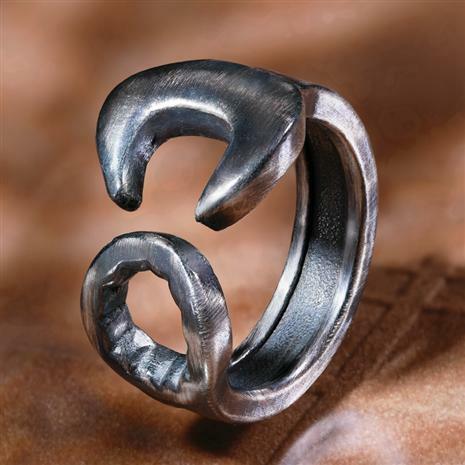 Take our ad-vise, this ring is a sawly needed addition for any man who loves home improvement.